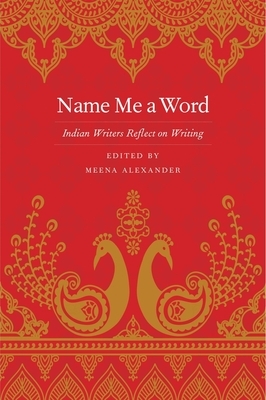 Join us at Book Culture on 112th as Meena Alexander discusses her book of poetry, Atmospheric Embroidery, and the anthology, Name Me a Word on Thursday, October 18th at 7pm. Fawzia Mustafa and Yvette Christianse will join Meena in conversation, with remarks by Micheal Angelo Rumore and Sara Deniz Akant. 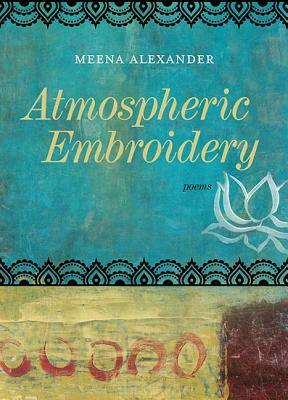 Atmospheric Embroidery: In this haunting collection of poems we travel through zones of violence to reach the crystalline depths of words -- Meena Alexander writes `So landscape becomes us, / Also an interior space bristling with light`. At the heart of this book is the poem cycle ‘Indian Ocean Blues’, a sustained meditation on the journey of the poet as a young child from India to Sudan..There are poems inspired by the drawings of children from war torn Darfur and others set in New York City in the present. These sensual lyrics of body, memory and place evoke the fragile, shifting nature of dwelling in our times. Meena Alexander is an award-winning author and scholar whose previous volumes of poetry include Birthplace with Buried Stones, Quickly Changing River, Raw Silk, and Illiterate Heart (winner of the PEN Open Book Award), all published by TriQuarterly/Northwestern. Her poetry has been translated into several languages and set to music. She is also the author of an acclaimed autobiography, Fault Lines, as well as two novels; an academic study, Women in Romanticism; and a collection of essays, Poetics of Dislocation. Alexander is Distinguished Professor of English at the City University of New York and teaches at Hunter College and the CUNY Graduate Center. Fawzia Mustafa is Professor of English, African Studies and Comparative Literature at Fordham University. Her Indian Ocean publications have appeared in English Studies in Africa and Twentieth Century Literature, and she is the editor of the re-issue of Sophia Mustafa's The Tanganyika Way (OUP1961; TSAR 2009). Her other publications include V.S. Naipaul (CUP 1995) and numerous articles. Yvette Christianse, Ann Whitney Olin Chair of Africana Studies at Barnard College, is a poet, scholar, and librettist. She is Chair of the Africana Studies Department and a Professor in both English Literature and Africana Studies. She is Interim Chair of Barnard's Council for Diversity and Inclusion and a 2018 Atlantic Fellow for Racial Equity. She is a founding member of the Oceanic Humanities for the Global South initiative at the University of Witwatersrand. Her books include: Toni Morrison: An Ethical Poetics, Unconfessed (novel), Castaway and Imprendehora (poetry). Micheal Angelo Rumore is a doctoral candidate in English at the Graduate Center, CUNY. His in-progress dissertation, Black Water: Race and the Human Project in the Indian Ocean Imagination, focuses on writing that depicts the Indian Ocean as a site for narrating globalization and the emergence of modern race. His writing has appeared in venues such as Social Text Online, Studies in the Fantastic, and Guernica. In addition, he teaches literature and writing courses at LaGuardia Community College, Lehman College and Queens College, CUNY. Sara Deniz Akant is a Brooklyn-based educator, poet and performer. She is the author of Babette (Rescue Press 2015), Parades (Omnidawn 2014), and Latronic Strag (Persistent Editions 2015). Her work has appeared most recently in Makhzin, Paperbag, and at the Poetry Foundation. She is getting a PhD in English at the CUNY Grad Center, teaches writing at Hunter College, and runs the GC Poetics group with friends.